Your vacation in Italy starts fantastically already on your journey there. As you travel along the coastal street you will already be able to admire the fantastic sea panorama and the view over the Ligurian coast. Rising high on the other side are mountains covered in green vegetation which whet the appetite for hiking, sports activities and discovery tours. Your vacation in Italy starts fantastically already on your journey there. As you travel along the coastal street you will already be able to admire the fantastic sea panorama and the view over the Ligurian coast. Rising high on the other side are mountains covered in green vegetation which whet the appetite for walks, sports activities and discovery tours. After these first impressions you will then arrive at your holiday apartment full of anticipation. You will feel absolutely at home in your holiday apartment complete with a personal kitchen, comfortable bedding facilities, bathroom and parking space for your car. You don’t have to miss any part of your comfort during vacation: we have both small and large holiday apartments for you, with one or several bedrooms and baths. Your domestic animal is very much welcome in most of our holiday apartments and houses and will feel fantastically at home in your residence. We offer apartments with fenced gardens where you can leave your dog to romp around in the open. 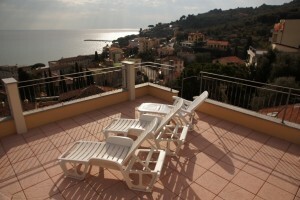 Vacation in a holiday apartment in Liguria offers many advantages. 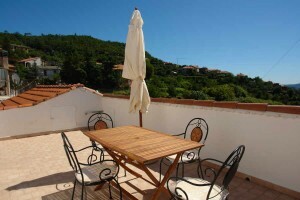 Holiday apartments in Liguria are often located near the sea and coupled with their proximity to the sea, they offer a high degree of relaxation. 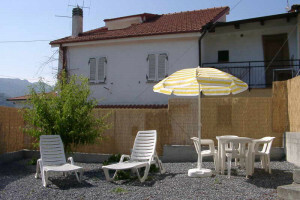 But there are several holiday apartments and farm houses (Agriturismi) located in the quiet hinterland in the provinces of Imperia, Savona, Genova and La Spezia too. You can spend a wonderful holiday there with friends and family. You will also get to know other guests when you go out to the shared pool. 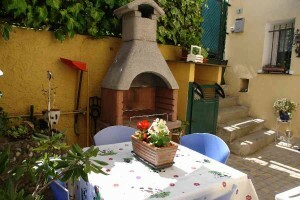 You and your children will quickly make new friends there and Liguria can be toured nicely on joint excursions. You will quickly discover Liguria’s charm when you spend your vacation in Italy’s third smallest region. 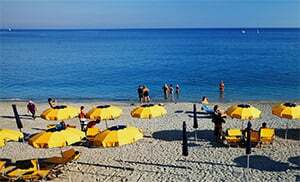 From your holiday apartment you can easily reach the various localities in Liguria‘s coastal regions of Riviera di Ponente and Riviera di Levante by car or by train. You will find recommended places for excursions in the provinces of Levante (coastal area stretching from La Spezia up to Genova) as well in the provinces of Ponente (stretching from Imperia to Savona) in our travel guide. You will experience Italian flair most especially in the popular coastal resorts of Diano Marina, Cervo, Alassio, Andora and Imperia. 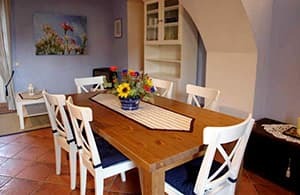 We can recommend a number of selected holiday apartments for guests who would like to spend their vacation in a private setting. 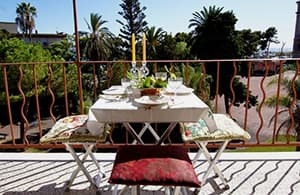 In such settings one can enjoy one’s breakfast relaxed in the private open area of one’s apartment while enjoying the view of the sea in the morning, make plans for the day and also while away the evening with a glass of wine. Alternatively, experience the culinary delights which the landlord next-door will offer you from his own farm or kitchen, or which you can buy from the many markets in the region. You should not miss these homemade specialties by any means! The Ligurian cuisine is well-known for combining ingredients from the sea and those from the mountainous hinterland. You will therefore find many fish dishes, dishes consisting of wild ingredients, nice-smelling herbs, healthy vegetables and of course pizza and pasta dishes too. The world-famous Pesto alla Genovese is a must for everyone visiting Liguria. Take time to experience these culinary delights personally during your next vacation. .
We shall be pleased to advise you thoroughly when choosing the right holiday domicile for yourself. 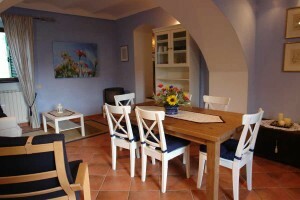 We would be glad to welcome you as our guest in a holiday apartment or holiday house.